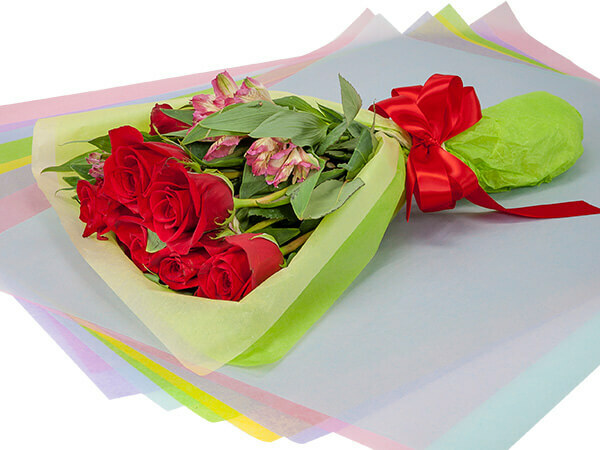 Available in white, green and a color assortment; Florist Tissue Paper resists absorbing moisture. Made in the USA. Waxed tissue is packed 480 sheets pack. For a variety of colors, try the Rainbow Assortment of 400 sheets. All sheets are 18"x24" and contain 60% post industrial recycled material.